Depending on what the water is like where you live, you might get that gross, green ring of buildup on your faucets. It’s super stuck on there and a gentle scrub will not do. Vinegar might do the trick though! And vinegar is super cheap! One thing I’d be aware about is whether or not vinegar will damage the finish on your faucet. Take a ziplock bag – or any bag that works really – and pour some vinegar into it. I didn’t try it myself but I think warm vinegar might work even better? 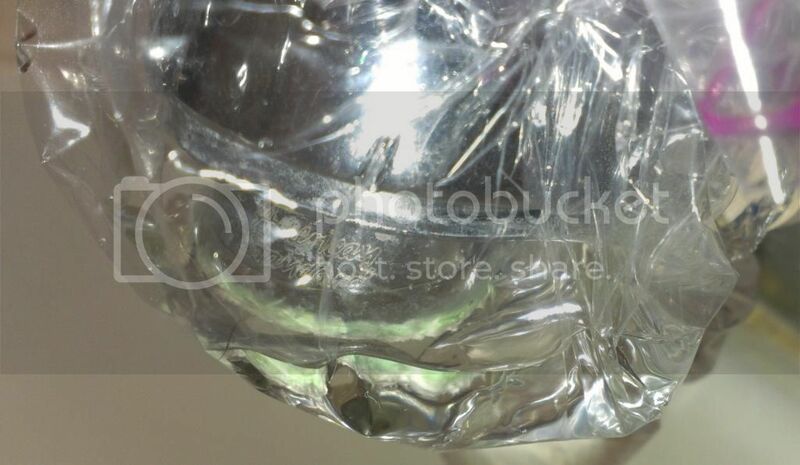 Submerge your faucet into the bag and make sure the vinegar is covering the nasty stuff. You’ll see it sizzle – it’s working! The minerals are being dissolved by the vinegar (an acid). I would let it sit for a few hours if the buildup is bad. Maybe even longer if it’s super bad. When it’s been soaking in the vinegar for long enough, use an old toothbrush to scrub away the gunk. It will come off easily. I’ll be honest and say I wasn’t very patient with mine, which was bathing in vinegar for 2 hours…I kind of scraped off the stuff that didn’t come off as easily. Which, I emphasize, you should NOT do! I ended up scratching the finish at the very tip of the faucet. Oops. Weeeell, I’d say it looks better than the gross green ring that was on it before at least. Learn from this girl’s mistakes. There are still a few spots left, but another vinegar treatment should easily fix that! 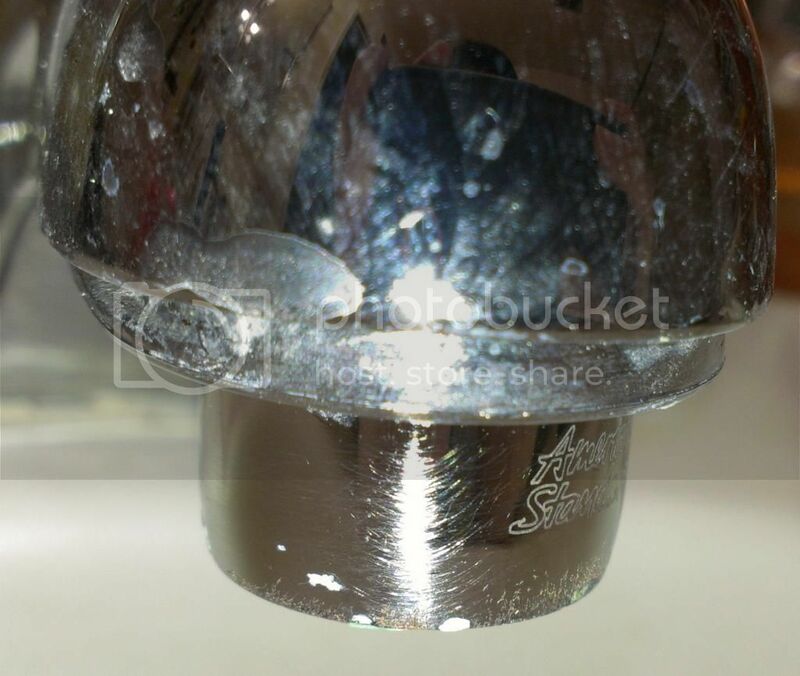 You can also do this with shower heads…especially if you notice the water has been running weaker than when it was new, or water is spraying in weird directions due to the buildup. Ooh, I didn't think to use vinegar for that. We bought some sort of chemicals to get rid of the build-up. We have to use it on our shower head once in a while. It looks like vinegar does the job nicely! Thanks for sharing the advice! It is good to try things that are not really bad and dangerous chemicals, especially when there are alternatives that work!